Psychoanalytic therapy is distinguished by its immersion in the world of the experiencing subject. In The Psychoanalytic Vision, Frank Summers argues that analytic therapy and its unique epistemology is a worldview that stands in clear opposition to the hegemonic cultural value system of objectification, quantification, and materialism. The Psychoanalytic Vision situates psychoanalysis as a voice of the rebel, affirming the importance of the subjective in contrast to the culture of objectification. Founded on phenomenological philosophy from which it derives its unique epistemology and ethical grounding, psychoanalytic therapy as a hermeneutic of the experiential world has no role for reified concepts. Consequently, fundamental analytic concepts such as "the unconscious" and "the intrapsychic," are reconceptualized to eliminate reifying elements. 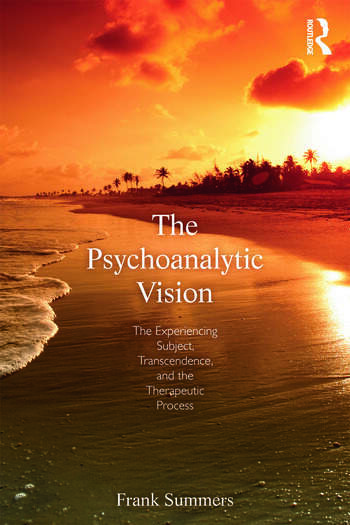 The essence of The Psychoanalytic Vision is the freshness of its theoretical and clinical approach as a hermeneutic of the experiential world. Fundamental clinical phenomena, such as dreams, time, and the experience of the other, are reformulated, and these theoretical shifts are illustrated with a variety of vivid case descriptions. The last part of the book is devoted to the surreptitious role beliefs and values of contemporary culture play in many forms of psychopathology. For clinicians, The Psychoanalytic Vision offers a fresh clinical theory based on the consistent application of the subjectification of human experience, and for scholars, a worldview that provides the framework for a potentially fruitful cross-fertilization of ideas with cognate disciplines. Frank Summers is a Professor of Clinical Psychiatry and the Behavioral Sciences at Northwestern University and a training and supervising analyst at the Chicago Institute for Psychoanalysis. Author of three previous books and numerous articles, he is currently President of the Division of Psychoanalysis of the American Psychological Association. He maintains a private practice of psychoanalytic therapy and psychoanalysis in Chicago, Illinois.